One would think that with UAE’s endless sunshine, few residents would succumb to the debilitating health problems of seasonal affective disorder (SAD) in summer. However, the soaring summer temperatures mostly force residents to stay indoors for months at a time, depriving them of critical exposure to sun and fresh air which can lead to a host of health maladies. The SAD is a form of depression in which people experience depressive episodes during specific times or seasons of the year. The disorder is related to changes in seasons and the symptoms of depression tend to begin and end at the same times every year. While SAD is common in sun-starved regions in the world that get little sunshine in the winter, in the UAE, the reverse is true, says Christine Kritzas, counselling psychologist at The Lighthouse Arabia. “Instead of experiencing the “winter blues”, UAE residents experience the “summer blues” — as a result of unfavourable scorching-hot-weather conditions. 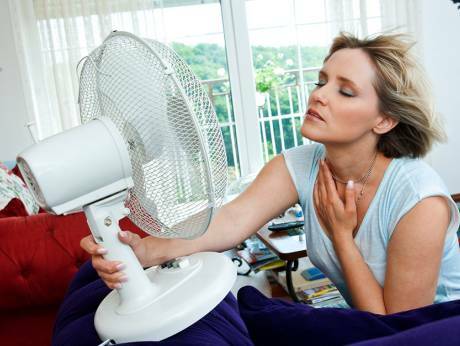 People here tend to stay indoors, avoid direct sunlight and rely heavily on their ACs to stay cool,” she said. Due to a lack of exposure to fresh air and natural sunlight, individuals may experience lower Vitamin D levels and a disruption in their circadian rhythms which in turn affects their serotonin and melatonin levels. “In people who experience SAD, their melatonin (i.e. the hormone that makes us feel sleepy) levels might be produced at higher levels, leading to increased feelings of sleepiness and lethargy. As for their serotonin (i.e. a brain chemical related to mood and energy), it drops, which results in experiencing sadness and fatigue,” she explained. Common symptoms of SAD include feeling depressed most of the day, experiencing low energy levels and irritability, having problems sleeping, and concentration difficulties, she noted. A study from University of Rochester found that spending time outside in green, natural environments can boost your physical and mental energy by nearly 40 per cent. On the flip side, staying indoors can leave you feeling drained and tired. Kritzas said as UAE residents avoid outdoor activities during the peak summer months, this may also mean that they withdraw socially from friends who are linked to those activities, which isolates them further and contributes to feelings of depression. Dr Mohammad Yousef, specialist psychiatrist at Aster Clinic, Muteena, said experiencing symptoms of SAD is common in the UAE. “Yes, I have come across people with SAD, but this disorder can be prevented and treated. During the winter, residents in the UAE are advised to get more exposure to the sun and do some walking and other exercises rather than take medication to treat it,” he said. He also pointed out that the biggest implication for physical health of being inside for so long is vitamin D deficiency, which can be linked to depression.